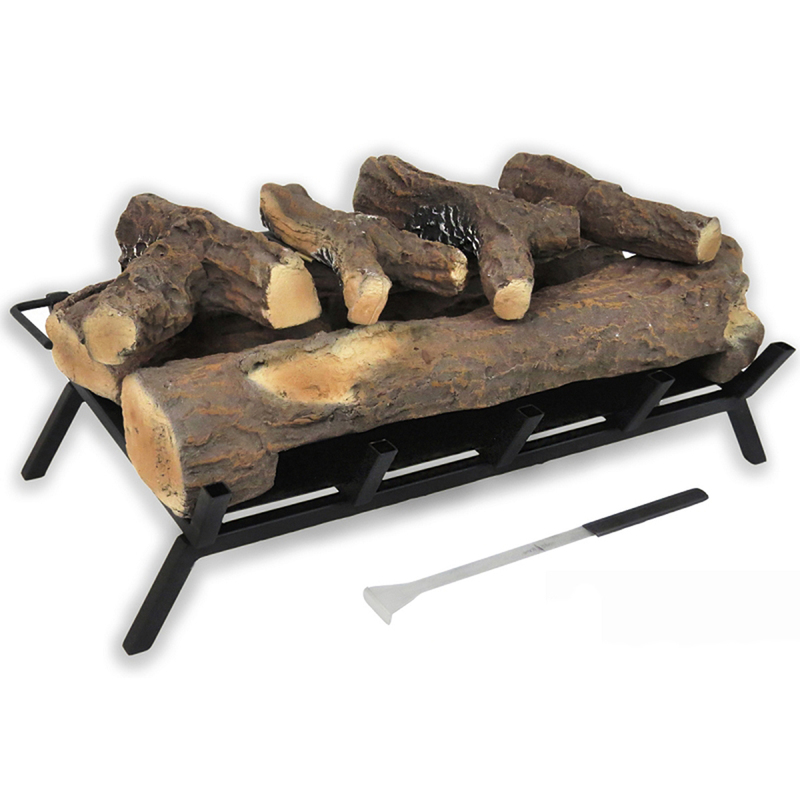 This dark oak ethanol fireplace log conversion kit offers a real fire without the mess. 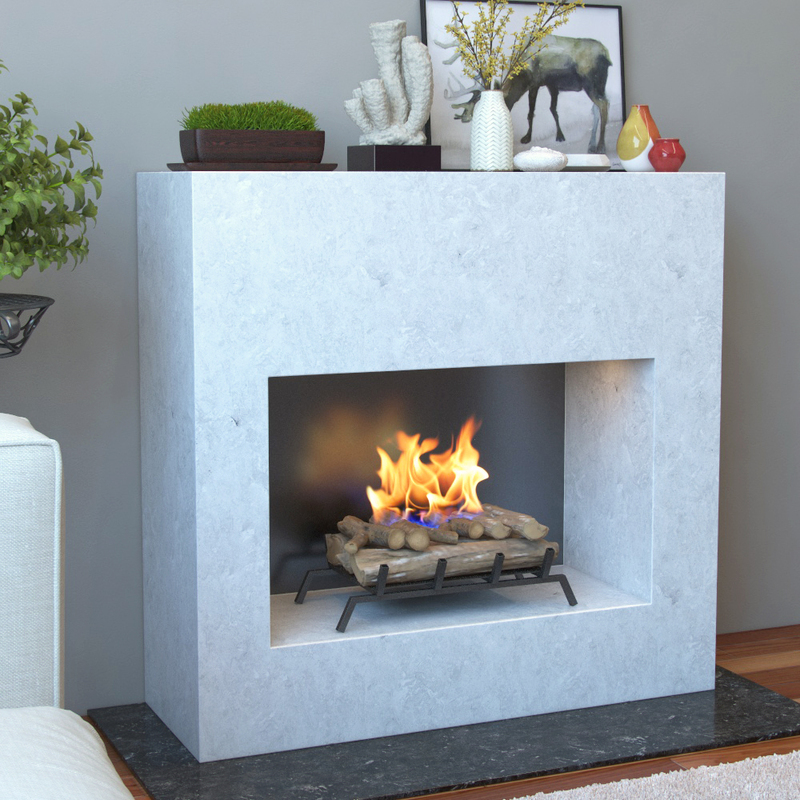 This fireplace log insert is eco-friendly, and ventless that burns ethanol fireplace fuel. 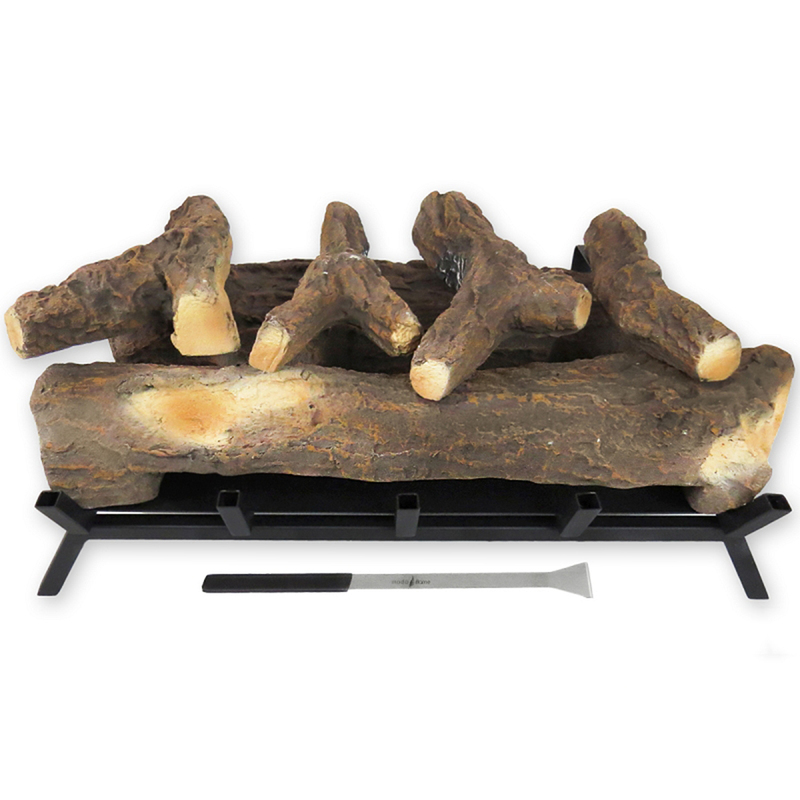 Simply insert this ethanol fireplace grate log set into your hearth, and forget about hauling wood, cleaning up messy ashes, and soot every again. 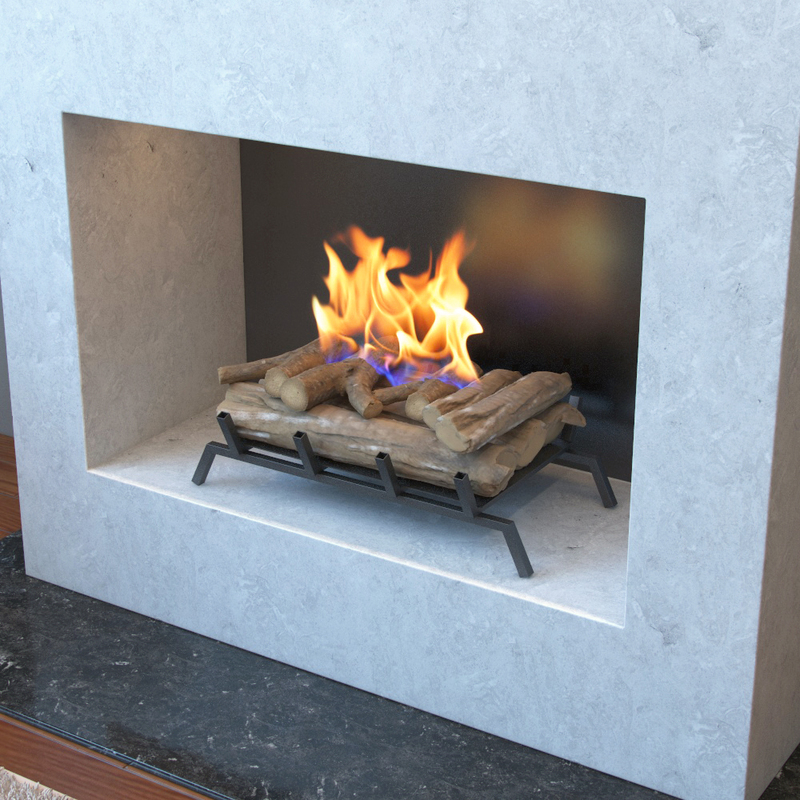 This ventless ethanol fireplace log grate insert requires no electric, gas, chimney or gel cans. 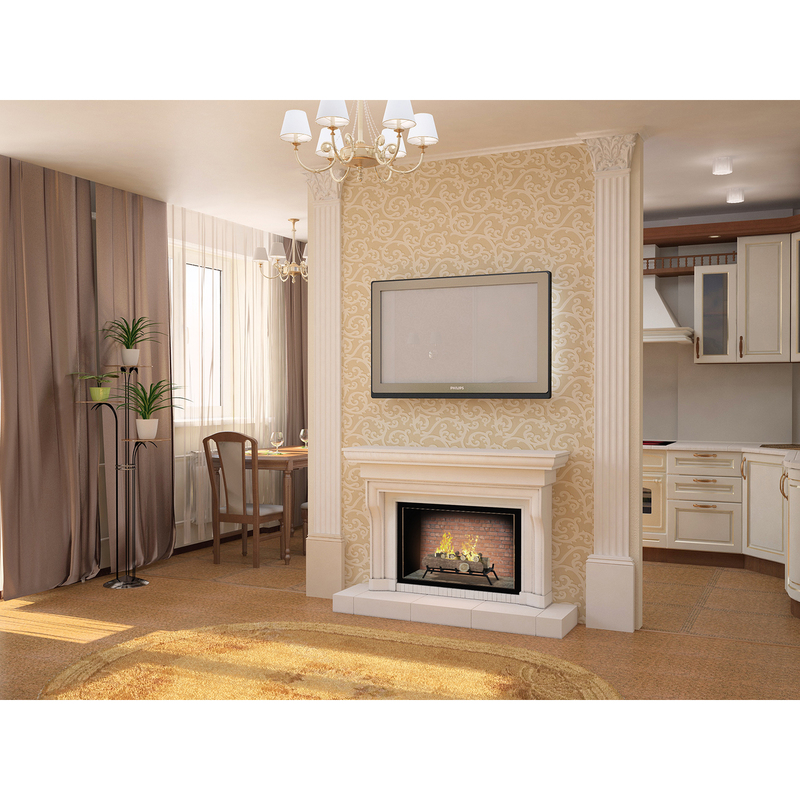 I bought a white set and this set and I like to change them out every other month or so to give the room a different look. The fact that they are individual pieces is really helpful in assembling. Put this grate set together in about 5 minutes from the time I opened the box. I was instantly in amazement watching this unit burn. It is so beautiful. 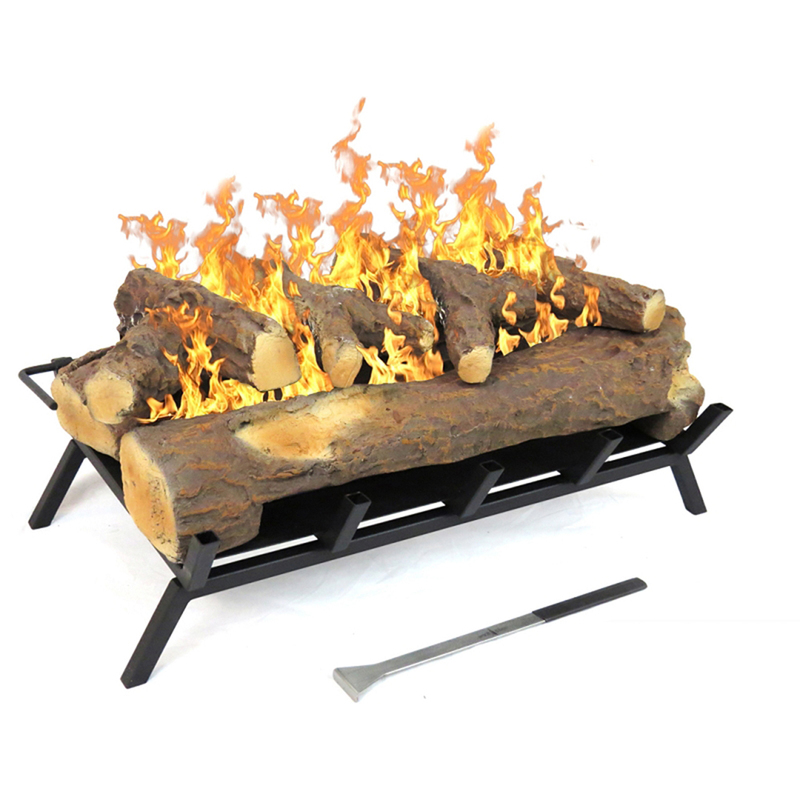 These logs look so real. Even has the groves and different shades of brown. 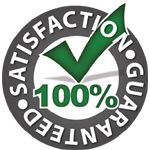 I have received many compliments and people cannot believe the price I paid for the entire set. Great value. Wishing the logs were a tad heavier but they burn the same way as old traditional heavy ceramic. I was expecting these to be like the traditional ceramic which is extremely heavy. Luckily for my sake, they were very light but still looked really sturdy and heavy. They fit perfectly on the grate and you can arrange them as you wish. Im very pleased with this purchase and will definitely purchase future items.